A new peer-reviewed study about to be published in the January 2018 issue of the Journal of Studies on Alcohol and Drugs found that marijuana use at exit from a 3-year case management intervention program for pregnant and parenting women increased significantly after marijuana legalization in Washington state. The researchers divided the study sample into two cohorts based on whether participants had completed the program before or after legalization. 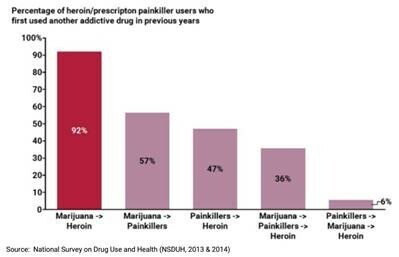 Although 92% of heroin users first used marijuana before going to heroin, less than half used painkillers before going to heroin. Suggestions that one addictive substance replaces another ignores the problem of polysubstance abuse, the common addiction of today. 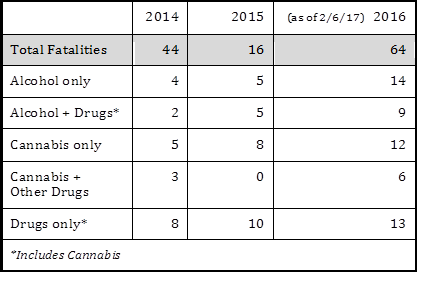 Here’s the complete Data on Marijuana Policy for 2017 in pdf form. 2. Centers for Disease Control. Today’s heroin epidemic Infographics more people at risk, multiple drugs abused. CDC, 7 July 2015. 3. National Academies of Sciences, Engineering, and Medicine; Health and Medicine Division; Board on Population Health andPublic Health Practice; Committee on the Health Effects of Marijuana: An Evidence Review and Research Agenda (“2017 NAS Report”). 4. Ellgren, Maria et al. “Adolescent Cannabis Exposure Alters Opiate Intake and Opioid Limbic Neuronal Populations in Adult Rats.”Neuropsychopharmacology 32.3 (2006): 607–615. 5. Stropponi, Serena et al. Chronic THC during adolescence increases the vulnerability to stress-induced relapse to heroin seeking in adult rats. European Neuropsychopharmacology Volume 24 , Issue 7 (2014), 1037 – 1045. 6. “Is marijuana a gateway drug?” National Institute on Drug Abuse. Jan. 2017. See also Panlilio LV, Zanettini C, Barnes C, Solinas M, Goldberg SR. Prior exposure to THC increases the addictive effects of nicotine in rats. Neuropsychopharmacol Off Publ Am Coll Neuropsychopharmacol. 2013;38(7):1198-1208; Cadoni C, Pisanu A, Solinas M, Acquas E, Di Chiara G. Behavioural sensitization after repeated exposure to Delta 9-tetrahydrocannabinol and cross-sensitization with morphine. Psychopharmacology (Berl). 2001;158(3):259-266. 8. Weinberger AH, Platt J, Goodwin RD. Is cannabis use associated with an increased risk of onset and persistence of alcohol use disorders? A three-year prospective study among adults in the United States. Drug Alcohol Depend. February 2016. This is the second recent article on the gateway effects of marijuana use. Since marijuana has already primed the brains of most people who get addicted to opioids, marijuana cannot replace pain pills. By Dean Whitlock, a freelance writer from Thetford, Vermont, writes about safety as it relates to marijuana. The article appeared in Vermont Digger on May 2, 2017. The discussions of H.170, which would legalize possession and home-growing of small quantities of marijuana, have focused a lot on the danger to teenagers, which is appropriate since adolescents are in a stage of neural development that makes them much more likely to become addicted, develop mental health conditions, and suffer decreases in cognitive processing and memory retention. The problem with this focus is that people over 21, particularly up to the age of 25 or 26, are still susceptible to all of these effects, just at a lower level of risk. That point aside, the area where every age runs the same risk is on the highway. Again, teens and young adults are more at risk because they tend to take more risks in the first place. They are also less experienced with driving and with the use of alcohol and drugs. But adults do make the same stupid mistake of driving under the influence. This data is based on blood tests that measure active THC, so we can be reasonably sure that the drivers had used marijuana recently enough to still be DUI. Note the small difference between the number of deaths due to alcohol and the number due to marijuana. The most likely reason for this is that many marijuana users think it’s OK to drive after using. For teenagers, we have clear evidence for that from our Youth Risk Behavior Survey. Reports from both Colorado and Washington indicate that the same must be happening there. While accidents and fatalities involving drunk drivers went down in recent years, the numbers involving marijuana went up. Why is this happening? Because we are not teaching people – young or old – that marijuana impairs your ability to drive. At a well-attended forum on marijuana effects held in Burlington last month, one attendee stood up and insisted that marijuana helps people drive more carefully, and this message pervades the popular websites that cater to people interested in learning more about marijuana from sources “untainted” by officials like police officers and scientists. It’s important to note that the traffic fatality data shown above only includes deaths in accidents. It does not include the five Harwood teenagers killed on I-89 last October. The driver of the car that hit theirs, Steve Bourgoin (36, hardly a teen), has been charged with second-degree murder, so their deaths are not considered to be due to a traffic accident. Addiction is not a crime, it is a mental health issue, and the behavior of users who suffer acute or chronic psychotic episodes goes far beyond the usual definition of addiction. When Bourgoin’s blood toxicology report was completed, authorities withheld the contents pending trial; however, Vermont investigative reporter Mike Donoghue, writing for Vermont News First, quoted several sources in saying that there was active THC in Bourgoin’s blood at the time of the accident. Since then, Vermont Rep. Ben Joseph, D-Grand Isle-Chittenden, a retired judge, has reported being told the same thing by contacts of his in the state legal apparatus. Anger is one of marijuana’s withdrawal symptoms, and it is a more addictive drug than most people think. A review of several studies of treatment methods for marijuana addiction found that one-year abstinence rates for adults, even under the most effective treatments, ranged only from 19 to 29 percent. In a 20-year study involving more than 2000 U.S. war veterans being treated for PTSD, the vets who used medical marijuana along with the standard therapy reported more violent behaviors and worse outcomes after treatment than vets who didn’t use marijuana. The heaviest users showed the strongest effects. Another study found that marijuana use resulted in increased suicidal ideation among marijuana users. There are other correlations between marijuana and serious mental health problems. Since 2002, a series of studies in Europe have reported that individuals who use cannabis have a greater risk of developing psychotic symptoms. Not only does marijuana bring on symptoms earlier and make them worse, it is a causative factor. A Finnish study published this past November compared sets of twins where one used marijuana heavily and the other did not. Heavy use increased the risk of developing psychosis by a factor of 3.5. Again, the data indicated that, in many cases, marijuana abuse caused the psychosis, not the other way around. The newly released report on marijuana from the U.S. National Academies of Sciences agrees with these findings. Addiction is not a crime, it is a mental health issue, and the behavior of users who suffer acute or chronic psychotic episodes goes far beyond the usual definition of addiction. 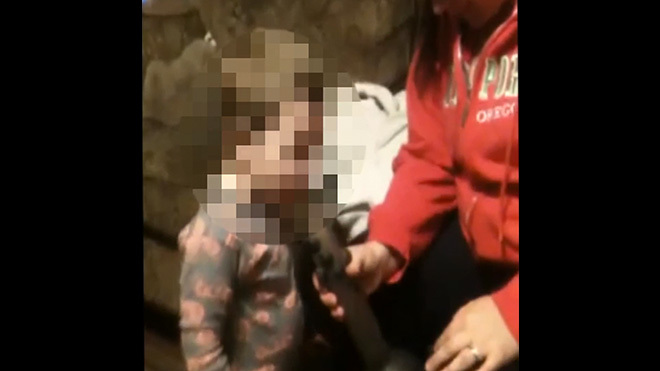 These sufferers needs effective treatment far more than jail time. And these new research findings, combined with Vermont’s recent traffic fatality data, highlight the fact that marijuana is not harmless. Legalizing recreational marijuana in Vermont would not be a simple matter. Vermont has already decriminalized marijuana use. 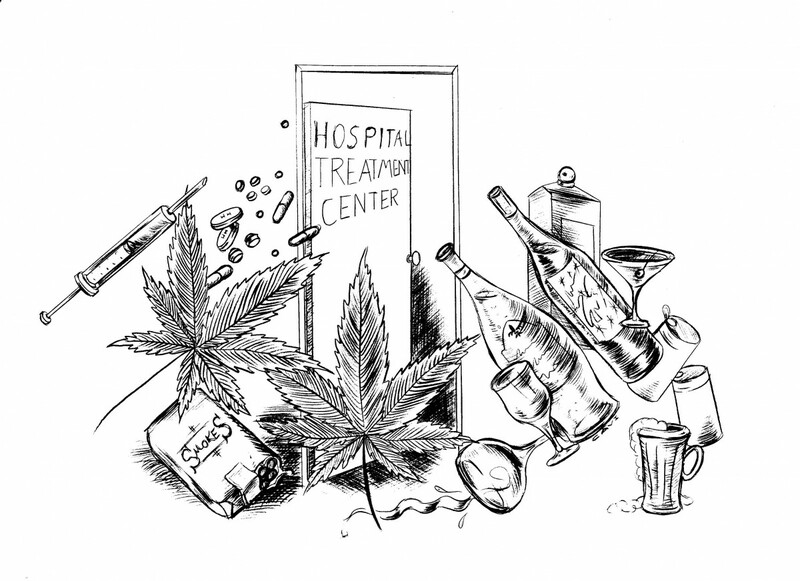 What we haven’t done is provide a mental health system that can deal with the thousands of cases of addiction, psychosis, and other mental illnesses that we already have in our state, nor have we done nearly enough to educate Vermonters about marijuana’s harms, in order to prevent tragedies from happening. Legalizing marijuana – whether like alcohol or tobacco – will only make our mental health burden worse, while it makes our highways far less safe.